Berlin (AFP) - It's every cyclist's dream: no red lights, no trucks, just a clear, smooth lane to zoom down with the wind in your face. Welcome to Germany's first bicycle Autobahn. Fans hail the smooth new velo routes as the answer to urban traffic jams and air pollution, and a way to safely get nine-to-fivers outdoors. 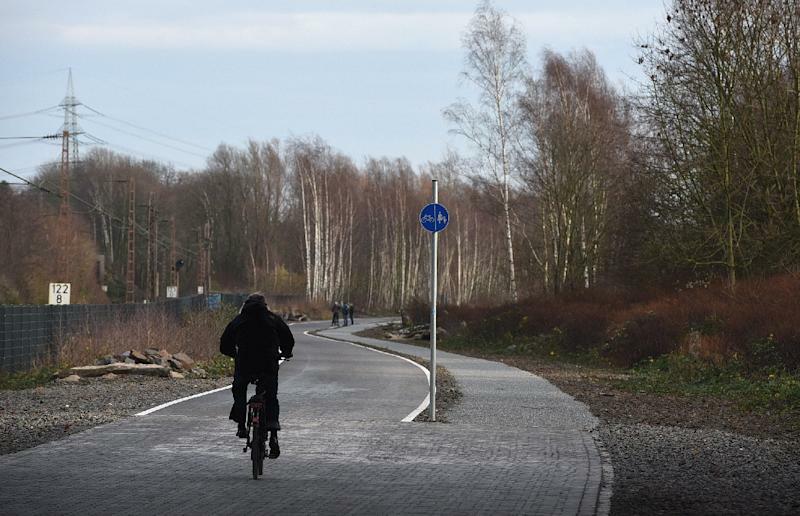 As a glimpse of a greener urban transport future, Germany has just opened the first five-kilometre (three-mile) stretch of a bicycle highway that is set to span over 100 kilometres. 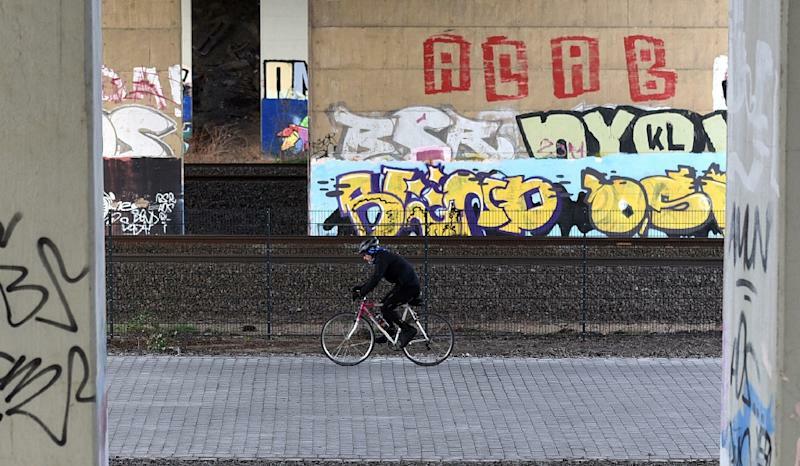 It will connect 10 western cities including Duisburg, Bochum and Hamm and four universities, running largely along disused railroad tracks in the crumbling Ruhr industrial region. Almost two million people live within two kilometres of the route and will be able to use sections for their daily commutes, said Martin Toennes of regional development group RVR. The idea, pioneered in the Netherlands and Denmark, is gaining traction elsewhere in Germany too. 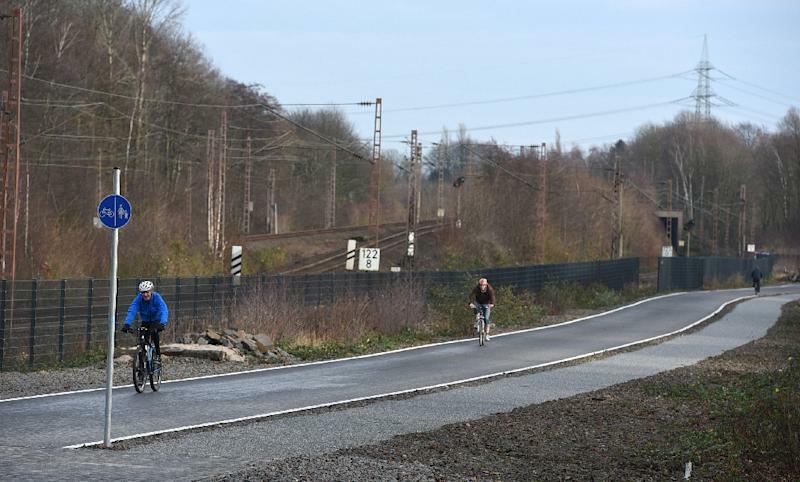 The banking centre of Frankfurt is planning a 30-kilometre path south to Darmstadt, the Bavarian capital of Munich is plotting a 15-kilometre route into its northern suburbs, and Nuremberg has launched a feasibility study into a track linking it with four cities. In the capital Berlin, the city administration in early December gave the green light to a feasibility study on connecting the city centre with the leafy southwestern suburb of Zehlendorf. The new velo routes are a luxury upgrade from the ageing single-lane bike paths common in many German cities, where tree roots below can create irregular speed bumps and a mellow cycling lane can suddenly end or, more alarmingly, merge into a bus lane. The new type of bike routes are around four metres (13 feet) wide, have overtaking lanes and usually cross roads via overpasses and underpasses. The paths are lit and cleared of snow in winter. Like most infrastructure projects, the bicycle Autobahn is facing headwinds, however, especially when it comes to financing. In Germany, the situation is complicated because while the federal government generally builds and maintains motor-, rail- and waterways, cycling infrastructure is the responsibility of local authorities. For the Ruhr region's initial five-kilometre rapid track, the cost was shared, with the European Union funding half, North Rhine-Westphalia state coughing up 30 percent, and the RVR investing 20 percent. Toennes said talks are ongoing to rustle up 180 million euros ($196 million) for the entire 100-kilometre route, with the state government, run by centre-left Social Democrats and the Greens party, planning legislation to take the burden off municipalities. "Without (state) support, the project would have no chance," said Toennes, pointing to the financial difficulties many local governments would have in paying for maintenance, lighting and snow clearance. In Berlin, a heavily indebted city-state, the conservative CDU party has proposed a private financing model based in part on advertising along the route. The German Bicycle Club ADFC argues that, since about 10 percent of trips in the country are now done by bicycle, cycling infrastructure should get at least 10 percent of federal transport funding. "Building highways in cities is a life-threatening recipe from the 1960s," said its manager Burkhard Stork. "No one wants more cars in cities."